Former UK Prime Minister Tony Blair has insisted he is not “super-rich,” despite reports that he can earn more than nine times the average British annual salary in a single day. The ex-Labour leader downplayed his wealth in an interview with Newsweek magazine published Thursday. Multimillionaire Blair claimed to be “very lucky,” insisting his wealth contributes to the “infrastructure” around him. Newsweek’s interview was published a day after Blair officially endorsed current Labour leader Ed Miliband’s general election campaign. Blair called a press conference in his old constituency in County Durham to praise Miliband’s “real leadership on the EU” and warned against Prime Minister David Cameron’s decision to hold a referendum on EU membership in 2017. Blair is notoriously guarded about his wealth, which some estimate totals more than £100 million. It is reported the former prime minister charges £250,000 for public speaking appearances – more than nine times the average UK annual salary. Eyebrows were raised across the political spectrum last month when the former PM announced he was donating £106,000 to Labour’s election campaign. Blair handed £1,000 to each of the candidates in Labour’s 106 “must-win” seats, despite controversy over his highly lucrative work for authoritarian governments. The former PM’s consultancy firm, Tony Blair Associates, reportedly earns £7 million a year for advising Kazakh President Nursultan Nazarbayev. Nazarbayev’s government was accused of human rights abuses after his riot police massacred dozens of striking oil workers taking part in a peaceful protest in Zhanaozen, western Kazakhstan, in December 2011. Tony Blair Associates has also been linked to a Saudi Arabian oil company founded by the son of Saudi Arabia’s late King Abdullah. 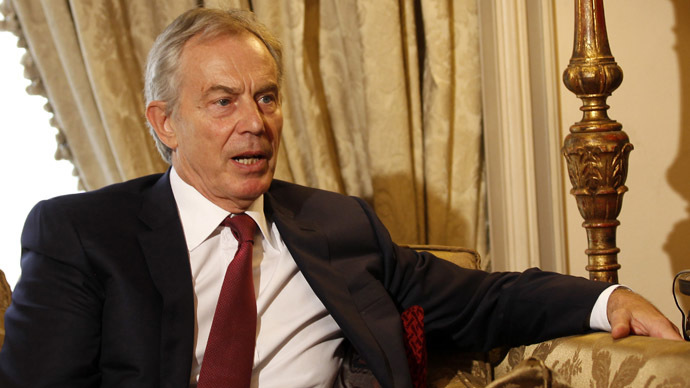 A leaked contract, which emerged last November, showed Blair had been hired by PetroSaudi to help facilitate a deal between the oil firm and Chinese state officials. In addition to questionable business deals, Blair and his wife, Cherie, own millions of pounds worth of property in the UK. Top of the list is an £8 million Buckinghamshire mansion and a nearby three-bedroom cottage purchased for Tony Blair’s sister, Sarah. Tony and Cherie Blair reportedly purchased London homes for their children Nicky, Euan and Kathryn, valued at £1.35 million, £3.62 million and £1.2 million, respectively. The couple also own an £8 million Grade II-listed Georgian townhouse in West London, which they bought in 2004.